Brandon Routh & Mr. Will-W.
No Sitcom is drawing greater buzz than CBS' Partners and CityTV will be airing the Series here in Canada, as announced today at their annual Upfronts. Partners has Superman Returns' Brandon Routh starring alongside Ugly Betty's Michael Urie as Lovers, as per earlier reports from Collider, Deadline, Perez Hilton and Just Jared. David Krumholtz plays Urie's life-long Best Friend/Business Partner, Joe. Sophia Bush and Molly Shannon also star. 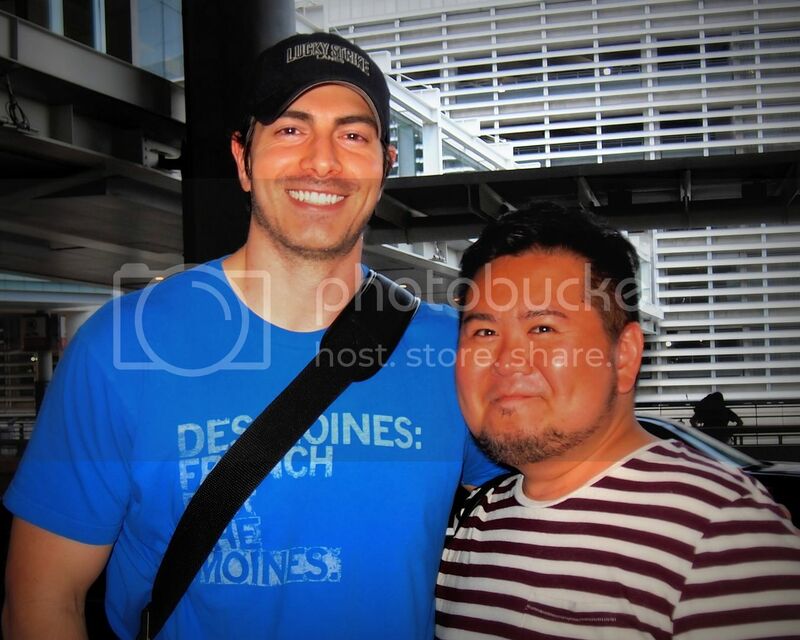 I caught-up with Routh arriving in Toronto last night from Los Angeles, sporting a T-Shirt which pays homage to his Hometown, Des Moines, Iowa. The handsome and v. tall Actor was kind enough to stop for a quick Snap, sacrificing his Memorial Day for the love of his Work and Canadian Fans!